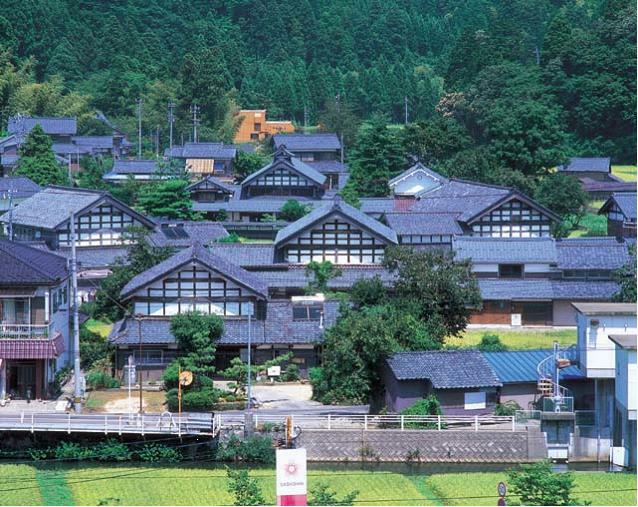 Fukui has grown as a tourist destination due to the opening of a duty-free store near Tojinbo and continued popularity of hotspots such as Eiheiji – a Soto Zen temple – which is said to have inspired Apple founder, Steve Jobs. In this article, we’ll outline your travel options to Fukui. Fukui’s primary train station is “Fukui Station”, located at Chuo 1-chome, Fukui-shi, Fukui. Business hotels and souvenir shops are conveniently located within walking distance from the station. If you’re flying in, Fukui Airport located in Sakai-shi is Fukui Prefecture’s official airport. Unfortunately, Fukui Airport has not had regular flights since 1976. A better option for air travelers is Komatsu Airport in Ishikawa Prefecture. Once at Komatsu Airport, you can catch a bus that runs from the airport to Fukui Station. The buses are conveniently timed with incoming flights from Tokyo and run frequently with 10 scheduled routes daily. You can travel to Fukui from Tokyo or Osaka by airplane, bus, train or car. If you’re traveling to Fukui from Tokyo by plane, flights are available from either Haneda or Narita. As noted above, we recommend flying into Komatsu Airport and taking a bus into Fukui. Buses are also available from Yaesu South Exit at Tokyo Station (travel time is approximately 8 hours and 10 minutes). You can also take overnight trains departing from Tokyo for approximately 7,980 yen. If you’re flying in from Osaka, flights are available from Kansai or Osaka Airport. If you’re opting for the train, hop on the JR Hanwa Line and transfer at Shin Osaka Station to the Hokuriku Main Line that will take you all the way to Fukui. Alternatively, ride the Osaka Loop Line from Kansai Airport and transfer at JR Osaka Station to the Hokuriku Main Line. From Osaka Airport, the Osaka Monorail is a convenient option –ride the monorail to JR Shin Osaka Station and transfer to the Hokuriku Main Line. By car, you can drive from Osaka to Fukui in approximately 3 hours using the expressway. Many people drive from Suita Interchange to Fukui Interchange via the Meishin / Hokuriku Expressway. The Best Nibbles for Sake! Let’s have a Good Sake with Fukui’s Saba-no Heshiko.